What if there was a technological advancement so powerful that it transforms the very way the insurance industry operates? What if there was a technology which could fundamentally alter the way that the economics, the governance systems and the businesses functions operate in the insurance business and could change the way the entire industry postulates in terms of trade, ownership and trust? This technology is here, and it’s called the Blockchain. And it’s best known as the force that drives Bitcoin. Bitcoin has gotten a pretty bad rap over the years for good reason. From the collapse of Mt. Gox and the loss of millions – to being the de facto currency for pedophilia peddlers, drug dealer and gun sellers on Silk Road and the darling of the anarcho-capitalist community – Bitcoin is not doing well in the public eye. Its price has also fluctuated wildly, allowing for insane speculation and, with the majority of Bitcoins being owned by the small group that started promoting it, it ‘s sometimes been compared to a Ponzi scheme. Vivek Wadhwa writes in the Washington Post that Chinese Bitcoin miners control more than 50 percent of the currency-creation capacity and are connected to the rest of the Bitcoin ecosystem through the Great Firewall of China which slows down the entire system because it is the equivalent of a bad hotel WiFi connection. And it also gives the People’s Army a strategic vantage point over a global currency. Consequently the Bitcoin brand has been decimated and is thought by too many to be a kind of ‘dodgy currency’ on the Internet for ‘dodgy people’. Therefore the Blockchain, which is a core technology behind what drives Bitcoin, has been slow to enter the Zeitgeist due to being attached to Bitcoin, the bête noire of the ‘establishment’. But that is changing fast. Blockchain as a tool for disintermediation is simply too powerful to ignore. People are now beginning to really look at the Blockchain as an infrastructure for more than monetary transactions and what it has done for Bitcoin. Just as Bitcoin makes certain financial intermediaries unnecessary, new innovations on the Blockchain remove the need for gatekeepers from some processes, which can really grease the wheels of any business, including insurance companies. Because of the way it distributes consensus, the Blockchain routes around many of the challenges that typically arise with distributed forms of organisation and issues such as how to cooperate, scale and collectively invest in shared resources and infrastructures. In the Blockchain, all transactions are logged including information on the date, time, participants as well as the amount of every single transaction in an immutable record. Each trust agent in the network owns a full copy of the Blockchain and in the case of a private consortium Blockchain (more relevant to the insurance industry), the transactions are verified using advanced cryptographic algorithms and the ‘Genesis Block’ sits within the control of the consortium. The mathematical principles also ensure that these trust agents automatically and continuously agree about the current state of the Blockchain and every transaction in it. If anyone attempts to corrupt a transaction, the trust agents will not arrive at a consensus and therefore will refuse to incorporate the transaction in the Blockchain. Imagine there’s a notary present at each transaction. This way, everyone has access to a shared single source of truth. This is why we can always trust the Blockchain. Imagine a healthcare insurance policy that can only be used to pay for healthcare at certified parties. In this case, whether someone actually follows the rules is no longer verified in the bureaucratic process afterwards. You simply program these rules into the Blockchain. Compliancy in advance. Automisation through the use of smart contracts also leads to a considerable decrease in bureaucracy, which can save accountants, controllers, and insurance organizations in general, an incredible amount of time. While the global bankers are far out of the blocks when it comes to learning, understanding and now embracing Blockchain technology, the insurance industry is lagging behind. There are some efforts to tap innovation as the Financial Times in the UK recently covered with European insurers such as Axa, Aviva and Allianz, along with MassMutual and American Family in the US and Ping An in Asia setting specialist venture capital funds dedicated to investing in start-ups that may be relevant for their core businesses. But between 2010 and 2015, a mere 13 per cent of innovation investments by insurers were actually in insurance technology companies. However, Aviva has recently announced a ‘Digital Garage’ in Singapore, a dedicated space where technical specialists, creative designers and commercial teams explore, develop and test new insurance ideas and services which make financial services more tailored and accessible for customers. And others are sure to follow in the insurance industry. Particularly since both the banking industry and capital markets are bullish on investing in innovation for their own sectors – and particularly since they are doing a lot of investment in and around Blockchain. The bankers and capital markets are miles ahead of the insurance industry when it comes to investing in Blockchain research and startups. Competitors in the capital markets and banking industries in terms of Blockchain solutions include the Open Ledger Project backed by Accenture, ANZ Bank, Cisco, CLS, Credits, Deutsche Börse, Digital Asset Holdings, DTCC, Fujitsu Limited, IC3, IBM, Intel, J.P. Morgan, London Stock Exchange Group, Mitsubishi UFJ Financial Group (MUFG), R3, State Street, SWIFT, VMware and Wells Fargo and the R3 Blockchain Group, whose members include the likes of Barclays, BBVA, Commonwealth Bank of Australia, Credit Suisse, Goldman Sachs, J.P. Morgan, Royal Bank of Scotland, State Street, and UBS. Then there are startups like Ripple and Digital Asset Holdings, the startup led by ex-JPMorgan exec Blythe Masters who turned down a job as head of Barclays’ investment bank to build her Blockchain solution for banking. There are others in the startup world moving even faster in the same direction, some actually operating in the market such as Billoncash in Poland which is the world’s first Blockchain cryptocash backed by fiat currency and passed through the harsh EU and national regulatory systems with flying colours. Tunisia is replacing its current digital currency eDinar with a Blockchain solution via a Swiss startup called Monetas. There are both threats and opportunities for the bankers… so what about the global insurance industry? Every insurance company’s core computer system is, at heart, a big, fat centralised transaction ledger and if the insurance industry does not begin to learn about, evaluate, build with and eventually embrace Blockchain technology, they will leave themselves naked and open to the next Uber, Netflix, AirBnB or wanna’ be Unicorn that comes along and disrupts the space completely. Blockchain more-than-deserves to be evaluated by insurers, as a potential replacement for today’s central database model. Where should the Insurance industry start? They need to start to experiment, like the bankers and stock markets, by not only working with existing Blockchain technologies out there but by beginning to experiment within their own organisations. They need to work with Blockchain-focused accelerators and incubators like outlierventures.io in Europe or Digital Currency Group in the US and tap into the latest startups and technologies. They need to think about running Hackathons and start to build developer communities – to start thinking about crowdsourcing innovation rather than trying to do everything in-house. Apple, Google, Facebook and Twitter have hundreds of thousands of innovators creating products for them on spec for them via their massive developer communities. 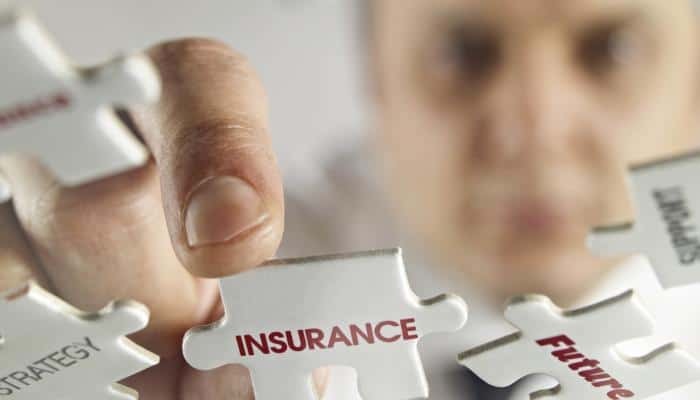 Insurance companies that don’t start lowering their walls might very well find themselves unable to innovate as quickly as emerging companies that embrace more open models in the future and therefore, find themselves moot. Kodak meet Instagram. The first step for insurance companies with Blockchain technology will likely be to look at smart contracts followed by looking for identity validation and building new structural mechanisms where parties no longer need to know or trust each other to participate in exchanges of value. Blockchain technology, for instance, can also allow for accident or health records to be stored and recorded in a decentralised way which can open the door for insurance companies to reduce friction in the current systems in which they operate. Currently the industry is highly centralised and the introduction of new Blockchain-fueled structures such as mutual insurance and peer-to-peer models based on the Blockchain could fundamentally affect the status quo. Blockchain’s immutability by using advanced cryptography can stimulate the insurance industry to create new insurance products. What is stamped into a Blockchain cannot be reversed or altered. Some of the many questions that the industry should explore. What kind of effect will Blockchain technology adoption in markets have on the the public’s perception of risk? Today the insurance industry is centralised, but what could it look like if it were decentralised? How could that affect how insurance companies currently mutualise? Can the Blockchain improve customer relations and confidence? Can smart contracts built on the Blockchain automate parts of the process in how business is done in the insurance industry? If you want to explore further, feel free to sign up to express an interest here at our upcoming event in London, Chain Summit Blockchain Event for Insurance companies.